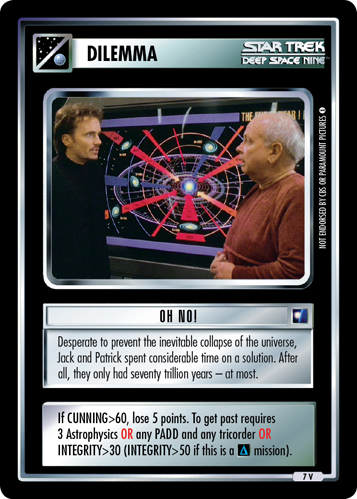 Desperate to prevent the inevitable collapse of the universe, Jack and Patrick spent considerable time on a solution. After all, they only had seventy trillion years - at most. If CUNNING>60, lose 5 points. 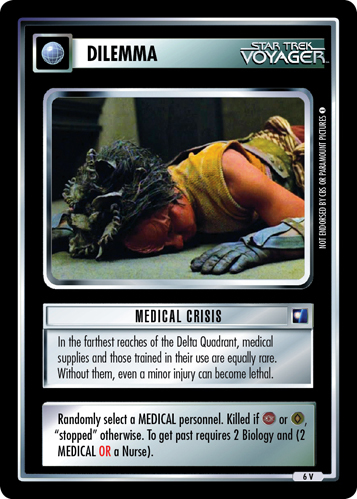 To get past requires 3 Astrophysics OR any PADD and any tricorder OR INTEGRITY>30 (INTEGRITY>50 if this is a mission). 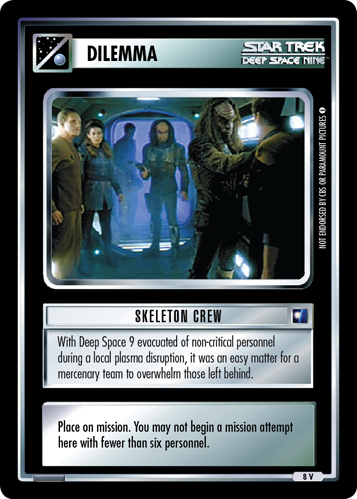 Image Source: Deep Space Nine: "Chrysalis"
Dilemma Resolution Guide: Oh No!